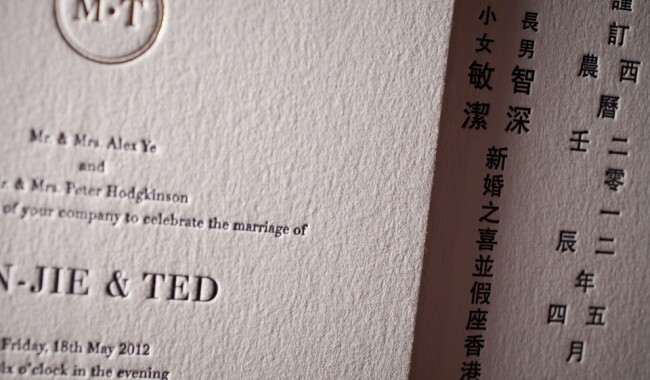 modern wedding invitation with some little shine. 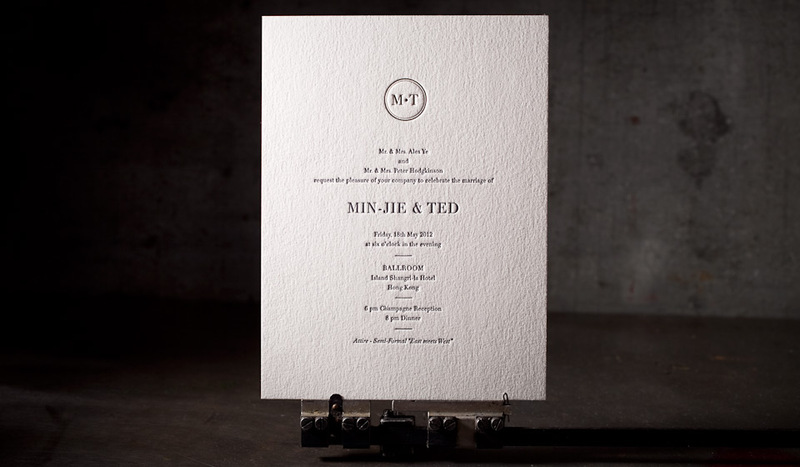 letterpress and foil stamping. Bella white 1-ply + 2-ply cotton. 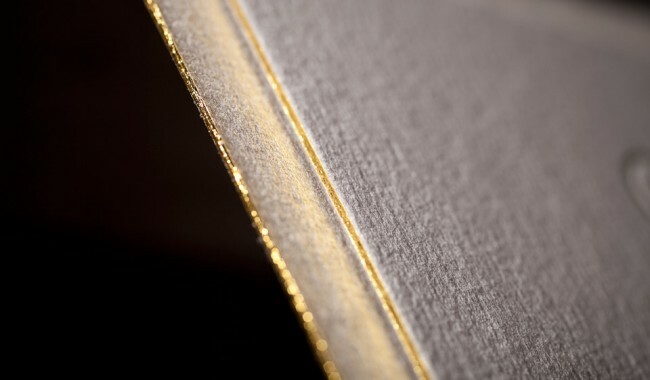 1 letterpress ink (prussian blue 2767U) plus gold shine. 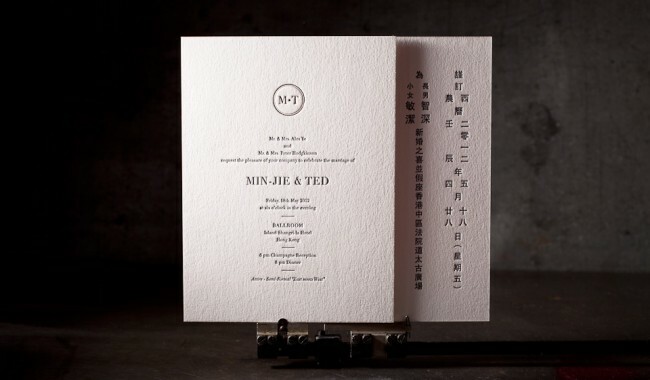 this bilingual wedding invitation suite included the double-sided invitation (English on front, Chinese on the back, foil edged in gold), ceremony card, English reply card, Chinese reply card, after party card + envelope, thank you card + envelope, and lined outer envelope. the invitation is sized 6.25 x 8.38.